Earlier this week, Zippy’s Giant Burgers said it would likely have news of a new location by the end of the week, since the foreclosure mess at its original Highland Park location didn’t seem likely to result in a continued lease, or purchase, of the building – and tonight, White Center Now/West Seattle Blog contributor Deanie Schwarz has just confirmed with Zippy’s ownership that the new location is finalized: A long-empty restaurant spot on the northern edge of White Center. 9614 14th Avenue SW (map), right behind the Roxbury Bartell Drugs, about a block and a half north of Big Al Brewing. Blaine Cook from Zippy’s explains that among other things, staying at the current location would have meant triple the current rent. As for other possibilities around West Seattle and White Center, it would have cost too much for the “buildout” at other locations they explored. Staying in this area was important, since of their 11 employees, all but two live in West Seattle or White Center. It’s a three-year lease with two options for five-year extensions. It’s a lot bigger than the current location – 1,600 square feet, with room for up to 60 people to sit down. That means they might eventually expand their menu – breakfast is a possibility. They’re hoping to open in late April or early May, with minimal downtime for a moveout from Highland Park before their lease expires on April 19th. The White Center site is truly turnkey, Cook says – some floor work and “kitchen tweaks” are needed, plus permits. But overall, he says, “We are stoked!” They’re looking forward to being part of White Center’s ongoing renaissance. And remember the term SoRo – South of Roxbury – if it catches on, he’s the one who made it up! 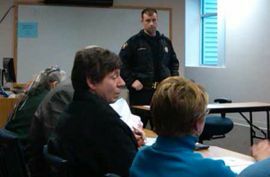 Notes from last night’s White Center/South Delridge Community Safety Coalition meeting at the WC DSHS office: King County Sheriff’s Deputy Jeff Hancock told the group he’ll be out working temporarily as a patrol officer to deal with a KCSO short-term staffing gap, but WC remains his primary duty. For Seattle Police, Community Police Team Officer Jill Vanskike didn’t have updated crime stats overall but said there was some good news for the West Seattle side of the line – a burglary arrest in Highland Park seems to have a put a stop to a spree of break-ins and car prowls; the suspect can’t make bail and remains in jail awaiting trial. 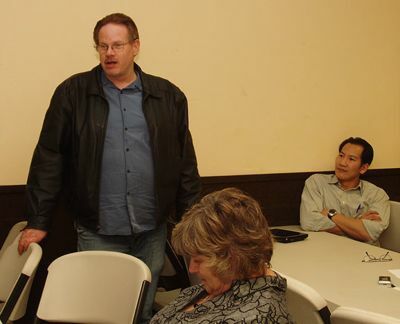 … The State Liquor Control Board plans emphasis patrols at local bars and stores soon; a nighttime bar check earlier this year, the group was told, turned up a few problems in Burien but none in White Center (both communities are in the same territory for enforcement officers) … White Center Chamber of Commerce president Mark Ufkes made flyers available for an event coming up March 31, a White Center Business District Forum co-sponsored by the Chamber and the WC Community Development Association, addressing “Options for Managing Homeless, Chronic Alcoholics in White Center,” 6:30 pm. at Triangle Pub … The WCCSC, which has been operating as an all-volunteer, no-staff group for several months now after its funding grant for staff ran out, talked about its focus and organization. Co-chairs Sean Healy and Angela Rambo want group members to consider whether its purpose is more advocacy-oriented, or more information-oriented. No conclusion was reached, so more discussions is ahead … The coalition meets at 6 pm on the fourth Thursday of each month, so its next meeting is scheduled for April 22. From left, Seattle annexation supporters Peggy Weiss, Mark Ufkes, Don Malo at last night’s Highland Park Action Committee meeting in West Seattle. Toplines of their appearance are part of the summary we’ve just published at WSB. The West Seattle neighborhood closest to White Center, Highland Park, has its community association meeting tomorrow night – Highland Park Action Committee, 7 pm at HP Improvement Club HQ. HPAC chair Dan Mullins sent around an agenda update and we noticed the annexation proposal is among the discussion items. Mullins says the scheduled guest is Mark Ufkes of the White Center Homeowners Association. On other topics, Seattle Parks and police reps are expected too. 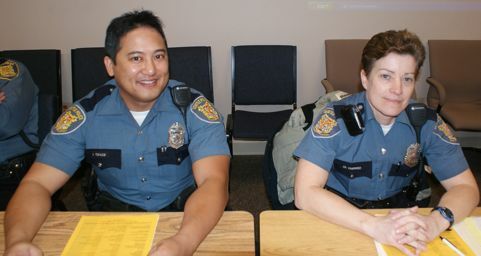 Southwest Precinct Community Police Team Officers Adonis Topacio and Jill Vanskike were both at the White Center/South Delridge Community Safety Coalition meeting Thursday night to pass the baton, in a way. She’s taking over the CPT work in the precinct’s southeastern turf; he’s moving to the west. With them, but not pictured, was Lt. Norm James, who also is in a new role at the precinct, that of Operations Lieutenant, since Lt. Steve Paulsen is transitioning to the West Precinct downtown. As we’ve reported on partner site West Seattle Blog, Lt. James has been with the precinct for several years, so he knows the area and the issues. He also introduced John McGoodwin, who’s taking over as SW Precinct city attorney liaison since Beth Gappert has moved to Vice. All those introductions took up most of the discussion involving the Seattle side of the Community Safety Coalition’s turf, aside from a few items that also came up last night when Officer Topacio was at the Highland Park Action Committee meeting – including graffiti in Highland Park (last night’s questions involved 12th SW between 8200 and 8400). Officer Topacio was asked about an e-mail going around from a West Seattle burglary victim claiming police were trying to catch a gang of teen burglars that was striking multiple times each day; he pointed the inquirer to our WSB story debunking that part of the tale. On the King County Sheriff’s Office side of the line, Deputy Jeff Hancock was late to the meeting – said he’d been in a foot chase with someone wanted by the state Department of Corrections; the suspect was caught after running into Brewsky’s in downtown White Center. The only other update he offered was that “person-to-person” robberies are way up over this time last year, and no one yet knows why. The rest of the meeting focused on a presentation about the Strength of Place Village affordable-housing project, 30 units planned for 13th SW/SW 100th (right behind Big Al Brewing). Architects Roger Tucker and Vlad Oustimovitch, with Kate Stineback from project overseers Capitol Hill Housing, gave a presentation and answered questions. We first reported plans for the project on WSB more than two years ago; according to a handout circulated at last night’s meeting, they’re hoping to break ground on the 30-apartment project this June, wiht the first families moving in a year later. White Center/South Delridge Community Safety Coalition meets at 6 pm the fourth Thursday of the month, now at DSHS offices, 9650 15th SW.
Just north of White Center, that was the festive scene Sunday afternoon at Highland Park Improvement Club, as friends and neighbors made balloon lanterns to get ready for a New Year’s Eve neighborhood parade (with coaching from Fremont artist Tricky Bunny, left foreground). You’re invited to join in – just meet at the HPIC lot at 6:30 Thursday night; the parade will last about an hour, followed by a fire show in the HPIC lot, and the Highland Park “house party” right after that. More info here. ORIGINAL 12:53 AM REPORT: Seattle City Light confirms 1,900 “customers” (homes and businesses) are without power in parts of Highland Park and White Center, as of about half an hour ago. (Lights flickered in parts of West Seattle around the same time the power went out to the south.) No word yet on the cause or how soon it’ll be restored. 4:27 AM UPDATE: City Light says everyone’s back on, and says a “cable failure” was to blame. Highland Park is having its 2nd annual Holiday Bazaar – it is going to be on December 5, 2009 from 10am to 3pm. Come and enjoy shopping from over 30 vendors selling an array of items (Jewelry, crafts, baby items, candles, soap, ornaments, children’s books and t-shirts and more) In addition there will also be a bake sale and a table with wonderful items to be raffled off donated by our vendors and local businesses (Menashe Jewelers, Magic Lanes, Cupcake Royale, M3 bodyworks, family fun center, Red Robin, Cafe Revo, Mcclendon’s and more. and you don’t need to be present to win – if you win we will notify you). So you can come, shop till you drop, sit down and have lunch, and then start shopping all over again. This is also a food drive for the West Seattle/White Center food banks each person that brings in one non-perishable food item will receive one free raffle ticket! (one per person only). Thanks for making this a great event! See you on December 5th!! 6:30 – 7:30 — Beginning East Coast Swing: A great place to begin. Fun and easy, and no experience or partner required! As with all our beginning classes, when you finish you will have moves and confidence to go out dancing! 7:30 – 8:30 — Waltz 2 (Romantic Waltz): Taking beginning slow waltz and turning waltz and adding moves and confidence. Prerequisite: Waltz 1 or instructor permission. 8:30 – 9:30 — East Coast Swing 2 (Footwork, Styling & Charleston): More cool moves and fancy footwork (don’t worry, we’ll take it one step at a time!) and even some Charleston. A rollicking good time! Prerequisite: Swing 1 or instructor permission. or call 206-264-5646 or e-mail lilli@att.net to contact the instructor, Lilli Ann. This month’s HPAC monthly meeting will include a presentation from Carolyn Johnson from Seattle Public Utilities to discuss the upcoming changes to our garbage, recycling , food and yard waste pick-up. And of course we will have reports on the NEC jail proposal, Becca Fong will discuss the King Co. Food & Fitness initiative, Officer Adonis Topacio with the neighborhood crime watch and much more. We will also have a Spotlight on a local business that we feel you should know about and a raffle with a big prize!! So come for the pot-luck dinner and stay for the meeting, meet some old and new neighbors and bring your Rants and Raves. This Monday will be our monthly Highland Park Action Committee meeting. 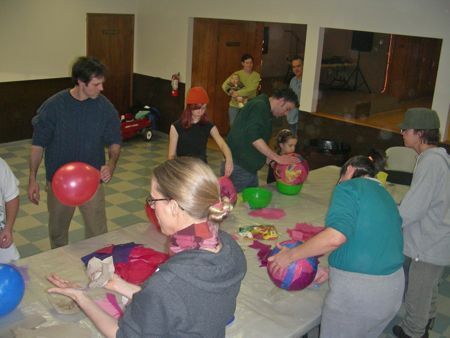 At each meeting in 2009 we will hold a raffle to win a prize donated by a neighborhood business. This Month’s prize is a gift certificate from Highland Park Favorite Jojo’s Espresso! Everybody in attendance that signs in gets a free raffle ticket. We are in the middle of the environmental SEPA process, so not much “Jail Talk”, but we have tons of neighborhood announcements, events, crime watch, etc. So please come to the Pot-Luck dinner at 6:30, meet your neighbors and and stay for the meeting at 7:00. Ron Sims on KUOW: Only Site for Seattle Jail is downtown next to present jail. Ron Sims was on KUOW this morning. The issue of the jail’s location was raised by one caller and Sims was unequivocal in saying that, as far as the County goes, the only viable site is downtown, next to the present jail. This has been my position all along, for reasons which I will be glad to elaborate. But, the placement is not in the County’s hand, given that this is a regional jail for misdeamenants. The City of Seattle is the gorilla in the room on this one. I for one, do not comprehend why they would imbroil the city in litigation (and delay the construction) over the placement of a jail by inserting it into a neighborhood. Nobody would bat an eye, and everyone would be happier, if the jail was located downtown. I am not a big Sims fan, but he actually had a number of good ideas today. More importantly, he didn’t seem burned out, as he has in prior interviews. PS: You can twitter Sims and he will add you to his twitter list, giving you direct access. Do you suppose we could convince Mayor Nickels to put us on his twitter list? … 7 pm tonight, Highland Park Action Committee meeting, 11th/Holden. These are your neighbors and they have a lot going on – not just the fight against a city jail coming to this area – and could use your help. Fun bunch, too. 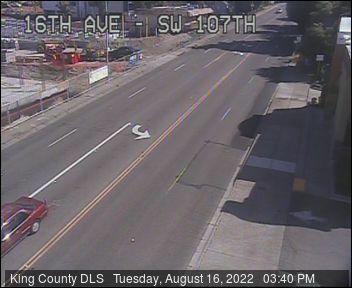 Find out more in this West Seattle Blog Forum post; we’ll be at the meeting and will post to White Center Now and WSB.